Compressed air is air kept under a pressure that is greater than atmospheric pressure. Compressed air is an important medium for transfer of energy in industrial processes. 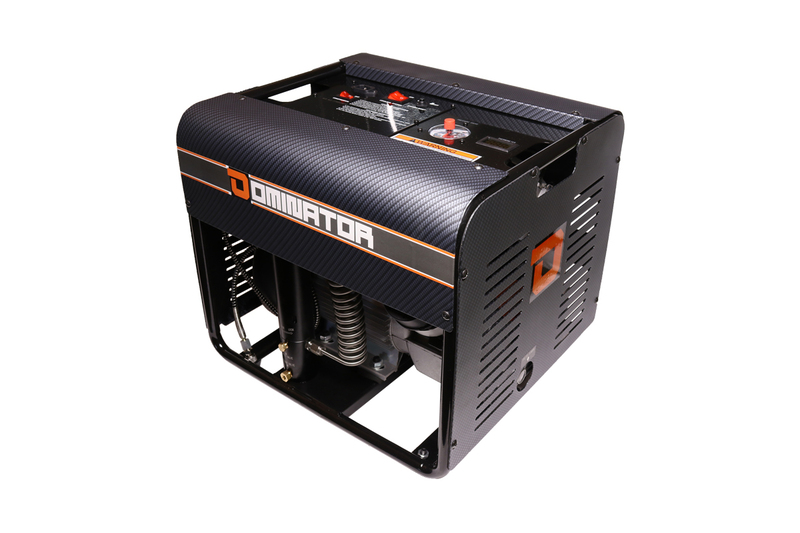 Compressed air is used for power tools such as air hammers, drills, wrenches and others. Compressed air is used to atomize paint, to operate air cylinders for automation, and can also be used to propel vehicles. Brakes applied by compressed air made large railway trains safer and more efficient to operate. Compressed air brakes are also found on large highway vehicles. Industrial use of piped compressed air for power transmission was developed in the mid 19th century; unlike steam, compressed air could be piped for long distances without losing pressure due to condensation. There were isolated attempts predating the use of compressed air industrially such as the suggestion by the Frenchman Dr. Papin to use compressed air as a means of transmitting power. The suggestion, made around 1700 AD, proposed the notion of conveying parcels in a tube utilizing compressed air. Unfortunately, early experiments crafted from wood and metal were not sustainable. Another early major application of compressed air was in the drilling of the Mont Cenis Tunnel in Switzerland in 1861, where a 600 kPa (87 psi) compressed air plant provided power to pneumatic drills, increasing productivity greatly over previous manual drilling methods. Compressed air drills were applied at mines in the United States in the 1870s. George Westinghouse invented air brakes for trains starting in 1869; these brakes considerably improved the safety of rail operations. In the 19th century, Paris had a system of pipes installed for municipal distribution of compressed air to power machines and to operate generators for lighting. Early air compressors were steam-driven, but in certain locations a trompe could directly obtain compressed air from the force of falling water. Airsoft guns are replica weapons used in airsoft sports. They are essentially a special type of low-power smoothbore air guns designed to pressurize air within an internal chamber to shoot non-metallic spherical projectiles (referred to as BBs) typically made of (but not limited to) plastic or biodegradable resin materials. Airsoft guns and pellets have significantly less penetrative and stopping powers than conventional air guns, and are generally safe for competitive sporting and recreational purposes if proper protective gear is worn. Depending on the mechanism for propelling the pellet, an airsoft gun can be operated manually with a spring-loaded air pump, or on an automatic cycling basis which is implemented either pneumatically with prefilled bottled gas (such as compressed green gas or CO2), or mechanically driven by an electric motor gearbox. 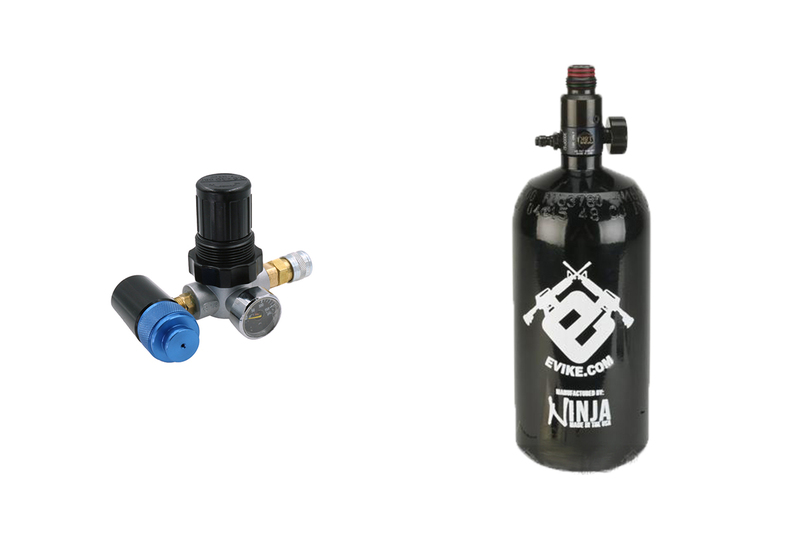 High pressure air (HPA) systems are a type of pneumatic airsoft weapon that use externally supplied high pressure air instead of internal gas canisters like the majority of gas-operated airsoft guns. They work by using a separate high-pressure air tank that is connected to the airsoft gun with a hose, which is connected with a pneumatic motor inside the gun (called an "engine") at where the gearbox would be in a normal electric airsoft gun. The engine is powered by a fire control unit that can adjust to the desired rates of fire as well as the dwell that determines how much air is released with each individual shot. 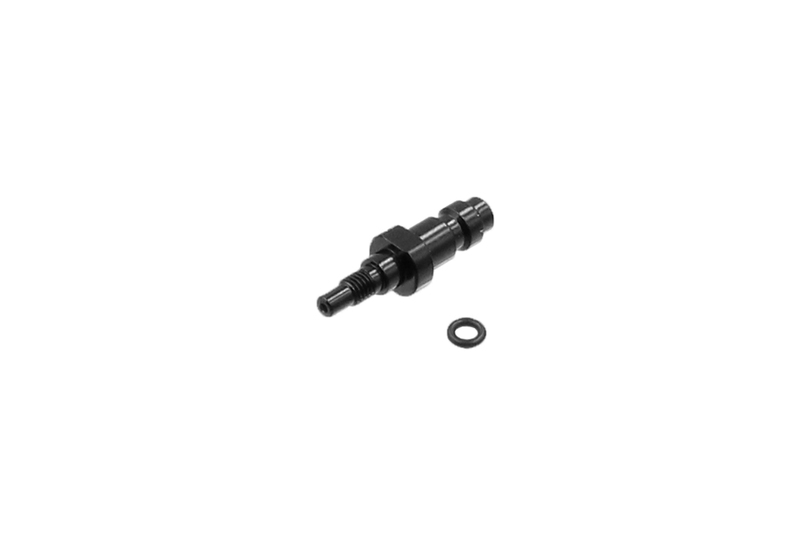 There are several types of HPA systems and they vary in both price and performance. Popular HPA brands and engines include PolarStar (Fusion Engine, F1, Jack), Wolverine (Hydra, Bolt, Inferno, Wraith, SMP), Valken (V12), etc. 1. Install the air regulator on the gas tank. 2. Fill the gas tank with compressed air with air compressor. 3. Install the air hose on the gas tank. 4. 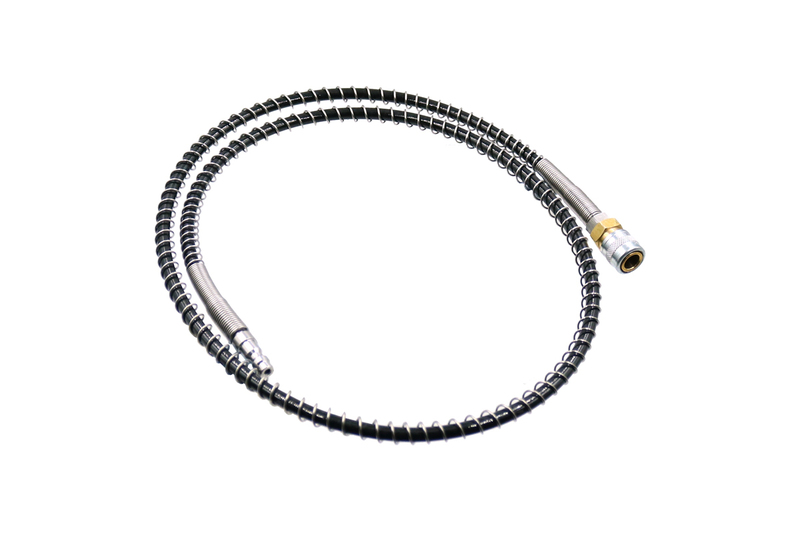 Attach the air hose to HPA adaptor / HPA Airsoft Gun. 5. You're good to go!